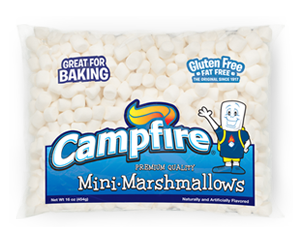 Add 1 cup Campfire® mini white marshmallows into bottom of the prepared baking dish. In a large microwave-safe bowl, combine the chocolate chips and Nutella. Microwave for 30 seconds and stir to combine. Continue cooking fudge in 30 second increments until the mixture is smooth. Stir in the remaining marshmallows and graham cracker pieces. If desired, reserve a some of the graham cracker pieces for topping the fudge. 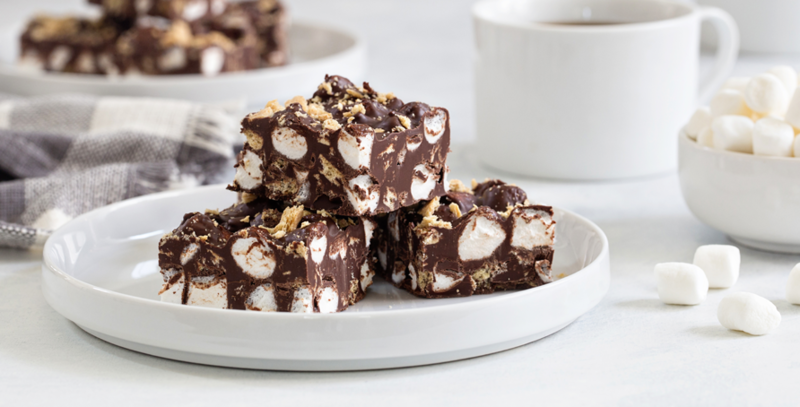 Pour melted chocolate and Nutella mixture over the marshmallows in the baking dish. If desired, top with reserved graham cracker pieces. Place fudge into the refrigerator until firm, about 2 hours. Cut into squares. This fudge is best served the day it is made; however, it will store in an airtight container within the refrigerator for up to 3 days.